Clips from the If It's Sports Weekly Podcast ⚾️🏈🏀⛳️ Two dudes that love sports breaking down the previous week in sports from the garage. Trav and Josh give their picks in the Falcons vs the Eagles in there big NFC match up. Trav and Josh recap the National Championship game between Alabama and Georgia. Josh & Trav get into the National Championship game between Alabama and Georgia. Trav gives out his helmet sticker to Clemson’s Kelly Bryant for is effort in the big win over Miami the the ACC Championship Game. Tiger looked good in this return. What does 2018 have in store for him? The drama continues in the LiAnglio Ball shop lifting case when the UCLA players return home and Lavar Ball refuses to think President Trump. Trav is on 🔥 after his Niners get their first win of the season. Thomas talks about his journey from Southwest Virginia to UVA as a Freshman. Thomas Jones walks us through his recruiting process and what ultimately lead him to UVA. Josh & Trav talk about the High School Days with Thomas Jones while he was at Powell Valley. Intro to the Thomas Jones Interview and Trav as about the time Thomas smoked Josh in the 110 meter hurdles. Is Golden State the team to beat this season. Find the full show at IfItsSports.com. You Big Dummy of the Week goes to Miami Dolphins O-Line coach Chris Foerster. Trav & Josh give their take on the Cam Newton and his response to female reporter Jourdan Rodrigue. Amazon Prime has partnered with Michigan to chronicle the 2017 Michigan football season. Trav hands out the big dummies of the week. 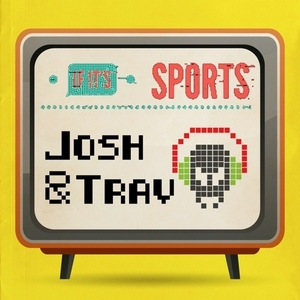 Trav and Josh discuss the lack of offense in the Bengals vs Texans game Thursday night. The NFL needs to put a better product on the field for Thursday Night Football. Trav and Josh talk about the great season Lamar Jackson is off to and his odds of repeating as a Heisman Trophy winner. Week one feel good stories from the world of College Football. Preseason thoughts on the NFC North for the upcoming 2017 NFL season. Preseason thought on how the NFC East will play out in the 2017 NFL season. Breaking down the AFC South on how we see it playing out in the 2017 NFL season. Josh and Trav give give their thoughts on the AFC North division. Trav & Josh give their preseason views on the AFC East. How does Isaiah Thomas and Kyrie Irving get traded for one another?Shame on the Boston Celtics and Cleveland Cavaliers. Listen to what Jon Jones, Dante Fowler Jr and the Arizona Cardinals special teams did to earn the honors. Josh gives us his Top 5 NFL games Of all-time. Trav breaks down his top 5 NFL Games that he has watched. Trav's Take - Jacob the Intern helps Trav with his shoe game.